Ever since purchasing an Acer Chromebook 15 over a year ago, I’ve been smitten with it. The low power consumption, ease of use, and mobility of it makes it a dream come true for a writer like me, but is a Chromebook for everyone? In a word: No. There is a time and a place for a Chromebook. If you have a family member or friend considering buying one, or you yourself are contemplating whether it would be a good laptop replacement, there are a few things you should consider first. Do You Spend Most Of Your Time Online? Consider the fact that as of 2015, according to the International Telecommunication Union, a whopping 43% of the global population uses the Internet. That’s up from 18% ten years earlier. Many of those users are not PC power users. According to Pew Research, 60% of senior citizens are now Internet users 12 Social Media Facts and Statistics You Should Know in 2016 12 Social Media Facts and Statistics You Should Know in 2016 Here are some interesting facts and statistics about the social media landscape that show where we are today and where we might eventually end up during 2016. Read More , and 71% of those users go online every day — but most of them only use the Internet and email; usually a web-based service like Gmail. For users like these, does it really make a lot of sense to invest $500 to $1500 on a system that they’ll only likely use to get on the Internet, check Facebook 4 Vital Facebook Privacy Settings You Should Check Right Now 4 Vital Facebook Privacy Settings You Should Check Right Now Facebook's been changing privacy options again. As usual, the default option is for you to be oversharing your details, so here's what you need to know to set things right. Read More , and check email? It would make no sense at all, especially when there are options for powerful, convenient, and very mobile “laptops” that happen to be loaded with Chrome OS and have everything people need, who only browse the web and check email every day. There are Chromebooks that would look, feel, and perform just like any laptop most people are accustomed to using, without the sky-high price tag to match. For these people, anything beyond the $100 to $250 that a Chromebook would cost is just a waste of money. This is the ideal group for a Chromebook, and if you or anyone who you’re helping to make a decision matches the description of this group, then a Chromebook is really the only way to go. Do You Use Many Programs? A Chromebook is the right choice How to Pick and Buy the Perfect Chromebook How to Pick and Buy the Perfect Chromebook Allow us to help you pick the right Chromebook for your needs. Read More for many people. Let me make this as clear as possible: For anyone who needs or enjoys using any specific desktop application like Microsoft Word or Excel, Photoshop, or any other popular desktop application — a Chromebook may not be right for you. I say may not, because there actually are many great cloud-based alternatives to most of the desktop apps you may be used to using, but if you’re married to any of those apps and can’t imagine your life without them, then a Chromebook won’t work for you. You may be better suited to another sort of laptop The Best Laptops for School by Major in 2016 The Best Laptops for School by Major in 2016 What are the best laptops for school? It depends on the student's academic focus. Engineering majors don't need the same laptop as liberal arts majors. Here's what you need. Read More . 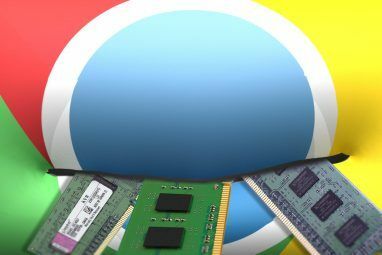 Here are some examples of replacements for some of the most common PC applications people often point to as a reason for not using a Chromebook. Depending which Office app you use and why you like using them, you may or may not find a good replacement when you use a Chromebook. A lot of people grew up using the old standby Microsoft Office products 6 Ways You Can Use Microsoft Office Without Paying for It 6 Ways You Can Use Microsoft Office Without Paying for It Do you need Microsoft Office but don't like the price tag? Here are some ways you can use Microsoft Office for free! Read More you’ll find at almost any school or library — applications like Microsoft Excel, Microsoft Powerpoint or Microsoft Word. If you look at the user interface for today’s Microsoft Word, for example (below is Word 2013), you’ll notice a menu system that goes very deep and offers a multitude of options all along the ribbon. When you use a Chromebook, you will need to find a replacement, unless you’re willing to use Microsoft’s free online Office 9 New Office Online Features to Manage Documents & Collaboration 9 New Office Online Features to Manage Documents & Collaboration Office Online is Microsoft's free web based Office suite. Recent upgrades introduced novel Office 2016 features and improved OneDrive, Dropbox, and Skype integration. Let's explore the new options. Read More offering, which does include an online version of Microsoft word that you can use on your Chromebook. As you can see the menu and ribbon bars look almost the same. For basic word processing and editing, it’ll be everything you could ever hope for in a word processor, but if you’re used to using some of the more advanced menus like mail or reference features, those are missing and you’ll need to look elsewhere. Another option is a popular one: Google Docs Google Docs vs. Microsoft Word: The Death Match for Research Writing Google Docs vs. Microsoft Word: The Death Match for Research Writing Online solutions are becoming the norm. We decided to see how Microsoft Word stacks up against Google Docs. Which one will do the better research paper? Read More . Google Docs is a little deceptive, because at first glance it looks painfully simple, lackluster, and featureless. The reality is quite the opposite. Most of the meatier features are hidden away in all of the menus. You can insert charts, advanced equations, linking, images, many text formatting options and more. Personally, if I were looking for the perfect online replacement for Microsoft Word, Google Docs would be it. If Word Processing is important to you and you’re considering a Chromebook The Best Chromebooks for Students in 2016 The Best Chromebooks for Students in 2016 If you're heading back to school this fall, you might want to consider a Chromebook. They're perfect for students (I should know -- I'm a recent graduate myself) because they're cheap, light, fast, and do... Read More , I suggest you sign up for a Google Drive account, if you don’t have one, and play around with Google Docs for a while to see if it’ll work for you. Another Office application many people use is Microsoft Outlook How to Blast Through Your Emails in Microsoft Outlook How to Blast Through Your Emails in Microsoft Outlook Don't let your emails monopolize your day, use these Outlook tips to take back control of your Inbox. Read More . Outlook is Microsoft’s flagship e-mail client, used heavily throughout most Corporations in the U.S., and even in many homes. It is chock-full of features, the ability to filter, set out-of-office replies, automate emails and much more. 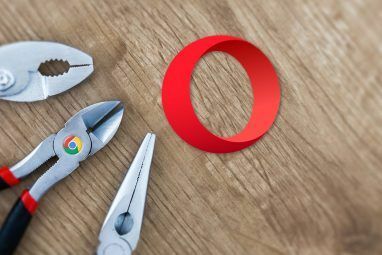 If you’re hoping to migrate to a Chromebook and you’ve been a heavy Outlook user for quite a while, then you’ve got some decisions to make. Have you been archiving emails on your hard drive, or do you delete most of your incoming emails after responding? Do you have a lot of subfolders set up on Outlook? How important is it for you to be able to access your email from anywhere? Your answers to #1 and #2 will determine how complicated it’ll be for you to migrate to an online solution so you can use a Chromebook. Your answer to #3 should actually decide whether you should adopt an online email account or not. Why is that? Because if you want the ability to access your email from anywhere, then why stay stuck to a desktop email client, right? Gmail is by far the most popular online email client 10 Super Efficient Ways Inbox by Gmail Saves You Time 10 Super Efficient Ways Inbox by Gmail Saves You Time Inbox by Gmail is Google's most recent approach to email organization and management. It can give you a simpler email workflow. Find out if Inbox by Gmail can be the better choice for you. Read More on the web today. In 2016, Google claims it has over 1 billion active monthly users on Gmail. There has to be a reason so many people love using Google’s flagship email client, right? When I first started using Gmail, I was actually pretty surprised at the simplicity, but as you can see a lot of that is actually due to a layout that is nothing like Microsoft products. For example you can see above that the email compose window actually has the formatting menu bar all at the bottom of the window instead of the top. There is also the Outlook Web option Microsoft Outlook Web Vs. Desktop: Which One Is Best for You? Microsoft Outlook Web Vs. Desktop: Which One Is Best for You? Outlook.com is a powerful online email client that comes free with Office Online. But can Outlook on the web compete with its desktop counterpart? Our Outlook comparison will help you decide for yourself. Read More , if you prefer to stick with a Microsoft solution, even though you’re transitioning to an online account so you can use a Chromebook. The difficulty, if you need to switch from a desktop email client like Outlook to a web client like Gmail, will be migrating the many stored emails or folders that I referenced in questions #1 and #2 above. Of course, this process is made a little simpler by Google’s Outlook migration tool. What if you use a Password Manager How Password Managers Keep Your Passwords Safe How Password Managers Keep Your Passwords Safe Passwords that are hard to crack are also hard to remember. Want to be safe? You need a password manager. Here's how they work and how they keep you safe. Read More like LastPass? Well, since mostly all password managers are browser and/or Internet based, switching over to a Chromebook will really have no impact on this. If you are worried about security, that may actually be another very good reason to migrate to a Chromebook. A Chromebook is a very secure solution The Fundamental Advantages Of Using A Chromebook The Fundamental Advantages Of Using A Chromebook Chromebooks are highly divisive and a consensus about the merits of Google's offering is a long way from materialising. Here are the key advantages of using a Chromebook when compared to Windows and Macs. Read More for four very important reasons, as Dan outlined not too long ago. While no system is 100% secure, as Andre explained here at MUO before, Chromebooks remain one of the most secure computing solutions 3 Reasons Why Chromebook Does Not Solve Digital Security Issues 3 Reasons Why Chromebook Does Not Solve Digital Security Issues Google's ChromeOS is probably the most secure operating system in the world (at the cost of some limited functionality). 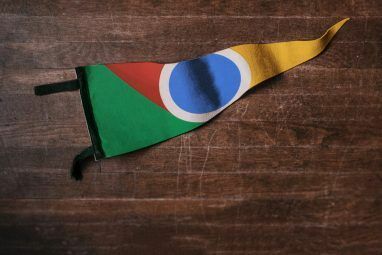 Unfortunately, ChromeOS isn't a panacea, and serious security concerns about the platform remain. Read More available today. This is a big bonus for users who are not very tech savvy and have no interest in updating virus definitions or running patch updates on their PC constantly. Let’s face it, many people out there just want a PC that works safely, without any effort on their part. For those people, Chromebook is an ideal solution. Do You Enjoy PC Gaming? There is one type of user who I’d never suggest getting a Chromebook to: A Gamer. Computer games Switching From Console to PC Gaming: 8 Big Differences Explained Switching From Console to PC Gaming: 8 Big Differences Explained PCs and consoles may be closer than ever -- after all, the Xbox One and PlayStation 4 are basically just gaming PCs -- but there are still huge differences. Read More are typically very resource intensive. They require high CPU capacity, usually significant hard drive space, and a powerful graphics card. These are all things that Chromebooks are not exactly known for. Here are Chromebook limitations that make them not the idea computer for a gamer. Nearly all Chromebooks do not come with a DVD-Drive for software installation. Most Chromebooks don’t have a significant internal hard drive to speak of, so no place to install software. The hardware on Chromebooks is usually just enough to appeal to casual Internet users, but not for gamers. The inability to install local hardware cancels out the possibility of running any desktop-based games on a Chromebook. Web-based games are a possibility, and the only limit there will be the limitation of your graphics card. If you bought something like a nice ASUS Chromebook with an HD display, you may be perfectly happy playing online games. Of course that Chromebook will cost you just under $300. If you’re hoping to buy a Chromebook for well under $200, you can forget about doing any kind of significant gaming on it. Are You Comfortable With Cloud Storage? Another element of Chromebook use you should consider before opting for one is whether you are able to adopt to the Chromebook method of saving files. If you’ve used a regular PC for years, then you’re probably accustomed to having lots of space on the local hard drive to store files to your heart’s content. And more recently, you’ve even been able to map your cloud storage drives right to your computer. Services like Dropbox, OneDrive and even Google Drive offer PC apps that let you view those web storage accounts like they are directories, accessible from right inside of Windows File Explorer. What’s the difference when you buy a Chromebook? Basically it’ll be like you only have those cloud-based directories to save your files to. There is only a very tiny amount of space for local storage of files (and these local files could be deleted automatically to improve performance). Accessing services like Google Drive from your Chromebook is actually designed to feel just like you’re saving files to a regular directory on your computer, but it’s all stored on your cloud storage accounts. The user experience doesn’t change a whole lot, but the question is whether you’re comfortable storing everything online. The good news is that if you still want to save things locally, you can plug in a USB memory stick or an external USB hard drive, and save your files there — Chromebook will map those local drives just like a regular computer would. But nothing much can or should be stored on the computer itself, so if you want to access those files later, you’ll need to make sure you have those devices with you. The final issue to consider before taking the plunge to becoming a Chromebook user is just how mobile you need to be. Many people don’t use computers much at all. They come home from work, log on to their computer just to check email and maybe surf the web and use Facebook a little, and then log off for the night. If you only have the need to do this at home and you already have a computer that suits this purpose, then “upgrading” to a Chromebook doesn’t make a whole lot of sense. So, if your old computer is running very slowly and you need to replace it, then the above scenario is a good reason to replace that computer with a Chromebook. It’ll suit your needs at a quarter of the cost of a new computer. However, if you’re the kind of person who is always on the go, and you really need a lightweight laptop that lets you get online quickly to check email and do your work on the Internet, the Chromebook could be the perfect solution for you. Most Chromebooks weight almost half as much as a regular laptop (many of them don’t even have a hard drive to weigh them down), they power-on much more quickly than a standard Windows or Mac laptop, and they are more secure to use in public places — if they ever get stolen, none of your files or data will ever get lost because they’re all stored in the cloud! As you can see, there are a lot of issues to consider when you’re looking to transition to a Chromebook. Depending on how you usually use your computer, the Chromebook could be very limiting for you, or it could be a dream come true. So take the time to consider all of the issues laid out in this article, and then if you feel like it’s the right choice for you — buy that new Chromebook and enjoy it! 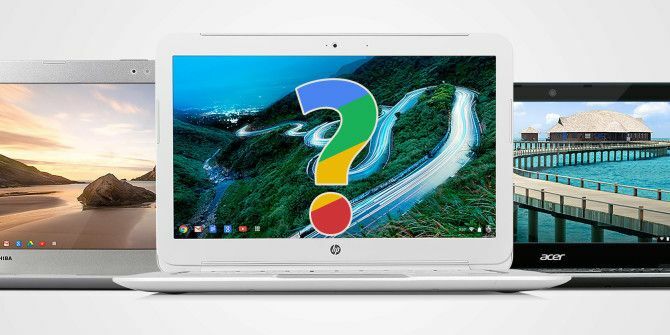 Are you considering buying a new Chromebook? Or did you already take the plunge? Let us know what you think about your Chromebook experience and whether it was the right decision for you, in the comments section below. Explore more about: Chromebook, Google Chrome. I switched to a Chromebook around 18 months ago, having been well towards the power user end of Windows, simply because I was discovering that increasingly I was working in the cloud anyway (OneDrive, WordPress, Dropbox, Feedly, Pocket, OneNote) and besides, the whole Windows 10 thing was just getting under way. I have not looked back. I've tried both MS online offerings, and Google's, and while both are workable, Google Docs is everything the article suggests, and more, and Drive is potentially much more than merely a cloud storage solution. I've even converted my partner - who is not an early adopter type! - and she now works happily with her own Chromebook. Big deal, let them scan away. It only makes my ads more relevant to things I like. Spam filter does the rest. Anyone considering a laptop purchase should seriously check out Chromebooks. We just bought a second one, and finished using our aging XP desktop altogether. Fast,inexpensive, and incredible battery life. One thing the article didn't mention is iTunes, which isn't supported by Chrome OS. I migrated my tunes to Google Play Music, which provides free space for 50,000 songs. Pretty much does everything iTunes does, plus gives access via multiple devices and can be played via Chromecast. Those married to the Apple world may not be interested in migrating to Google. I couldn't care less who scans my emails for I'm not doing anything that I shouldn't be....my daughter talked me into buying a Chrome book last year and I love it! I spend hour upon hour online either gaming, doing surveys or finding other ways to make money. Even if Chromebooks are the most secure against hackers, they are 100% transparent to Google, whose revenues are 95% derived from selling user info / ads. Google scans every piece of email both directions - and for Chromebook users who also use Google Docs, every piece of data there is scanned as well. No thanks. Nothing against Google (I use (and love using) Chrome browser and Gmail). Google is already scanning my email's. But I "spread the eggs around" by using Microsoft and myriad other vendors -- and using Google Search via StartPage.